This is our second year proudly carrying coffees from Hacienda Sonora, of Costa Rica. The Natural for 2018 is still boasting it's tropical fruit notes, with a strong brown sugar sweetness. 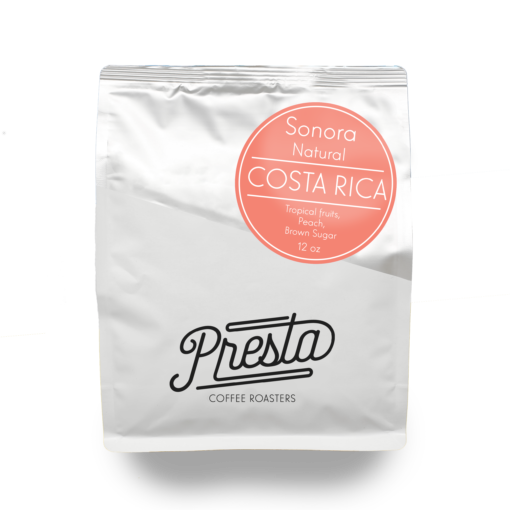 This coffee is incredibly forward with flavor and doesn't leave much to nuance and guesswork. It's delicious. Diego, the owner and operator of Hacienda Sonora, is a leader in his industry. He is incredibly well spoken, an educator, and a producer with a unique view on the coffee market. We spent some (wish we had more) time with Diego in Costa Rica, and at SCA 2018 in Seattle. He takes charge of the room, and is a truly powerful voice for Costa RIca producers. Thank You Diego. All online orders will be processed and shipped on Mondays.